Guild Wars fan Enayla has outdone herself here. 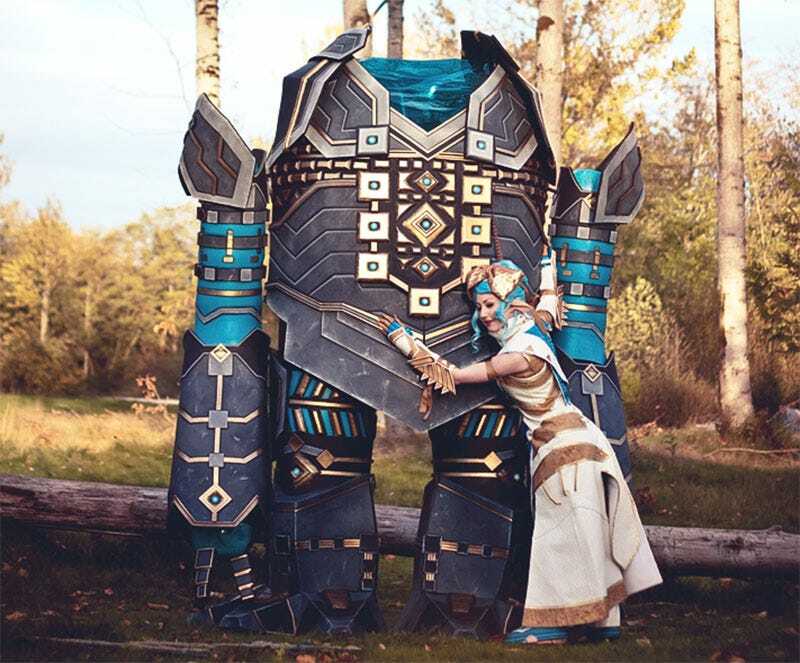 Not only has she gone and made a fantastic Asura costume, but she built the accompanying Golem as well. A Golem that’s nine-feet-tall. The Golem can’t walk (at least not yet, anyway), but it has been wired so that its gems light up. Enayla can also clamber up behind it and get in, so it’s more than just widow dressing.